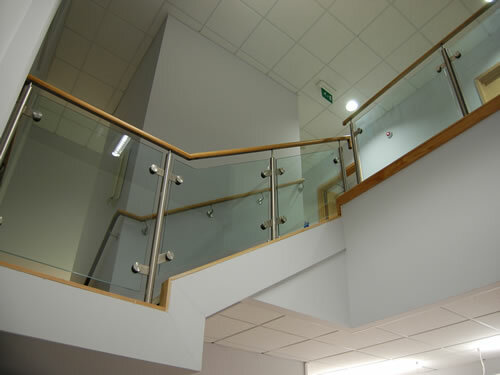 Our frameless and stainless steel balustrade and handrail systems come in standard sizes to fit most situations domestic or commercial and can also be manufactured to fit your unique environment. This means our systems are fitted to decking, balconies, gardens, pools, workplace, office, factory or in fact anywhere. Our systems are extremely adaptable to any situation and can be manufactured promptly from our base in Newport. Frameless units in glass and stainless steel, in modular or bespoke design to suit a deck area, balcony etc together with a range of of decking balustrade systems to suit any home. Our handrail systems can be adapted to meet all requirements in any design of your choice with a broad range of stainless steel components. Our glass channels or floating panels are perfect for home owners in domestic environments or we have a more robust commercial grade for the more demanding situations and public areas such as office spaces, pubs and stores. Q-Railing, the ultimate railing systems offer superb design and an 'a rated' quality grade, which is regarded as the utmost in safety and style. Choose from a variety of designs and materials including stainless steel and glass providing the most sought after finish on the market today. With ease of installation we pride ourselves in being able to provide the very best railing combination available today for both interior and exterior applications. From survey, to delivery and installation we offer a superb service providing the industry leading q-railing system following stringent safety standards for all our rail and screen installations. Theses are just a few of many aspects that set us above the average balustrades and handrail systems on the market today. 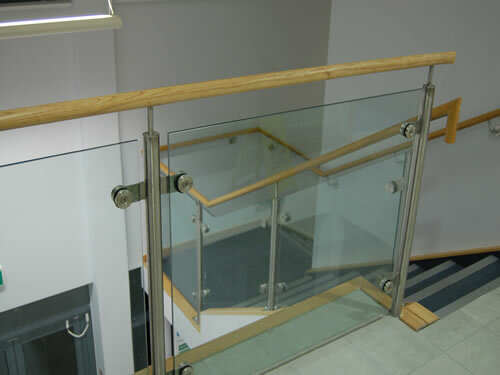 All our handrails are designed with aesthetics and safety as the most paramount features for both internal handrails and external balustrades with anchoring of all rails surpassing the required standard, resulting in long term usage whatever the situation. Until recently the few options available afforded only a restricted view being manufactured from wood, brick and ornamental steel work, all of which require time consuming maintenance. Everything you'd need from aluminium and stainless steel balustrades manufacturers. Juliet balconies are becoming ever popular to new or refurbished properties. A Juliet balcony is simply a toughened glass screen fitted externally, in front of inward opening doors, usually on a first floor or above, that gives maximum fresh air and a flood of light to a room, all while remaining safe behind a clear glazed panel. An alternative is to have the glass 'obscured' for privacy. Many of our systems can be fitted with integral lighting for safety applications, guides for stair areas or even to compliment existing lighting. Ideal for a relaxed atmosphere where overhead lighting is restricted. The splendour of being able to enjoy open views through a virtually impenetrable barrier of glass and stainless steel can only be imagined and all it takes to find out how this can be achieved is a simple phone call away. We will survey free of charge, make recommendations wherever necessary and cost the project before you need to make any decisions. Once we have discussed a suitable budget and you wish to proceed with any of our systems, we waste no time in moving forward with the project quickly and efficiently, so that you can enjoy uninterrupted panoramic views for all external installations and open up a new visual dimension internally.